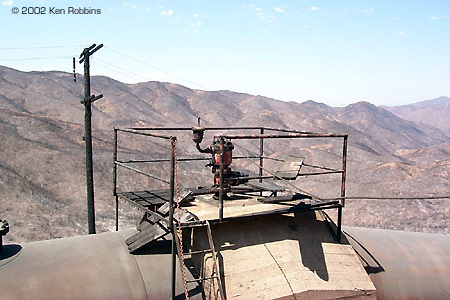 Reference material on various forms and features of real-world weathering. 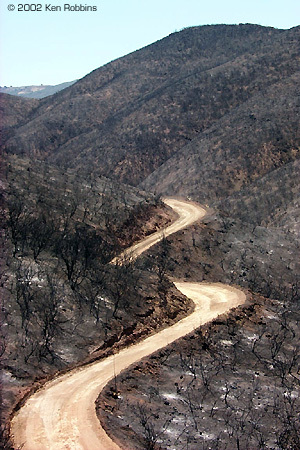 This section contains the reference images of real-world vehicle, equipment and structures of interest to scale modelers as examples of weathering effects. Do you have something you'd like to contribute? Drop us a line! Toby Gentle sent in these images of a weary FV432 Armored Personnel Carrier taken at a tank driving day in England. The vehicle has apparently been exposed to the elements for some time, and that's taken a toll on the exterior paint. Image: A closer look at the well-worn paint on the vehicle's front. 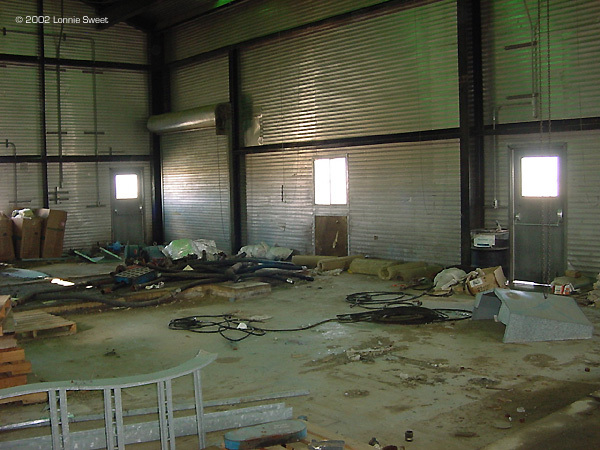 Michael McGuire sent in these images of a well-maintained forklift in a busy warehouse. 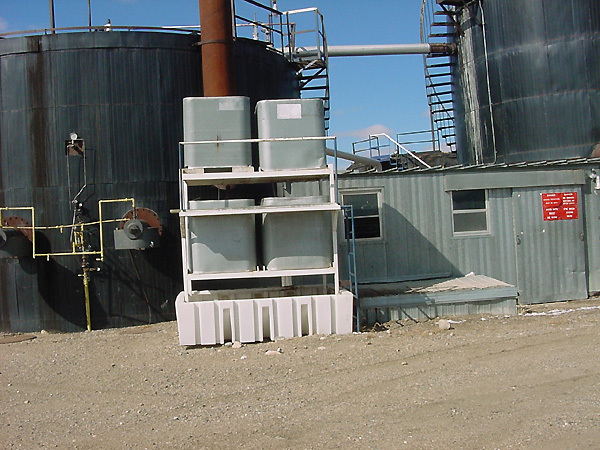 It's a good example of the toll daily wear-and-tear can take on equipment, even when it's taken care of properly and not abused by extreme climate conditions or enemy action. Image: Driver's position, including protective rails. Image: Other side. Good view of wear along an exposed metal edge. Image: Platform where the driver stands. Note the wear to the non-skid surface. Image: Dings and scratches on the "bumper". Battle damage is something modelers like to do, but don't often get to see real-world examples. Thanks to Jeffrey Griffin, we have these shots of a USAF C-5A that was hit by an SA-7 missile. It was hit in the #4 (right outboard) engine, knocking the turbine off-center and initiating automatic shut-down and foam. The C-5 returned to Bagdad where it sat until a field Combat Logistics Support Squadron team could fly in, assess the damage and affect field level repairs of a sort that could limp the aircraft out of the danger zone. A replacement engine and pylon were flown to another location several days in advance and was waiting for the aircraft to arrive. The aircraft arrived without incident and the engine and pylon were both replaced by the same CLSS team. Image: Damaged engine pylon. The silver tape is what's called "silver speed tape" and these guys used it for BDR (Battle Damage Repair) if an aircraft has to get up and out of a hot runway area. Image: Another view. The silver tape marks all the places shrapnel hit. Jeffrey also sent in the following pictures of a UAE (United Arab Emirates) C-130 that lost a prop. He was not sure if it was in-flight or not, but it could well have been judging by the damage to the flaps. Image: Starboard side. You can see where the whole assembly came off, and where the prop entered the fuselage. Image: As always, the "exit wound" is bigger. 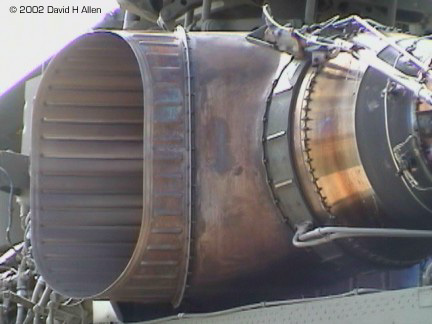 Image: Damage to the inboard port side engine and fuel pod. Image: Underwing damage (fire?) behind the engine nacelle. "Here are a bunch of pictures taken of the natural metal finish P-38L-5-LO out at Chino. Nice sunlight, so you can get a real good idea of what a real airplane in natural metal finish really looks like. Not a lot of markings and artwork to distract your attention on this one. One thing to notice when you look at the shady-side pictures is that there is a difference in tone between differing varieties of aluminum used. Also, while the airplane is nowhere near polished, it is not "dead flat" either. When you look close, there is a very slight "sheen" to it." Image: Left/rear view. Note how the metal skin is not smooth. Image: Port tail fin. 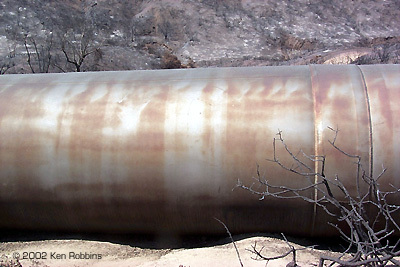 Note the scratches and other surface "flaws"
Image: Inboard side of the port boom. Note the burnt iron supercharger - doesn't look as "metallic" as most hobby paints of that color. Image: Different aircraft with starboard side engine panels removed. Probably the harshest environment for machines and vehicles is the sea. Even the most well-cared for vessels show the effects of oxidation and rough weather. The following images are from the Gulf Coast, courtesy of Jack Wendt. Image: Closer look at the bow. Image: Closer look at the stern. 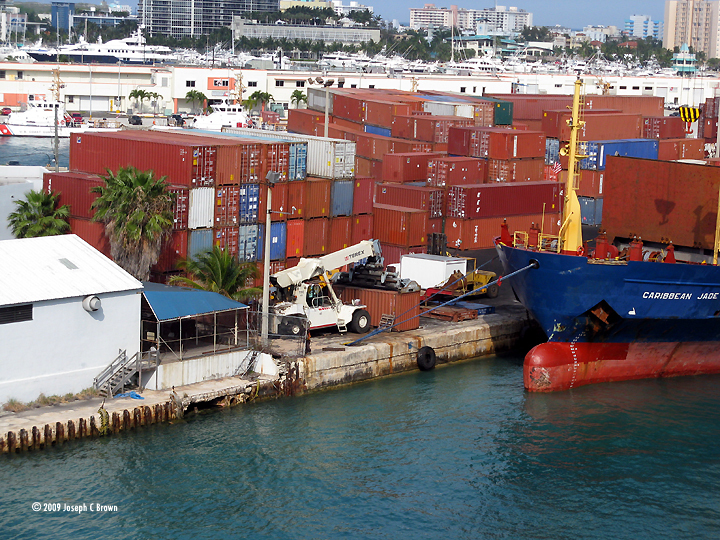 The following text and images are from the Port of Miami, Florida, courtesy of Joe Brown. " For me, getting good shots of real world ships in port was too cool of an opportunity to pass up, and could potentially assist modelers with starport type settings. 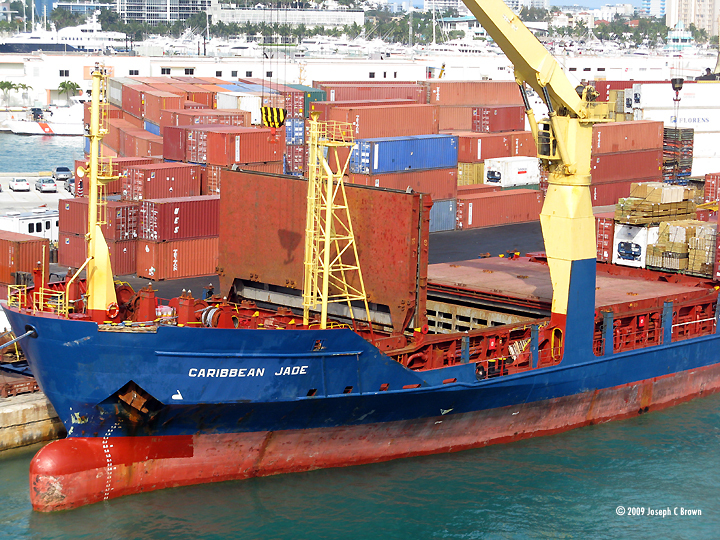 One of the ships I got was the Caribbean Jade, who had (on June 16 2008), ran aground in St. Lucia's Castries Harbor. 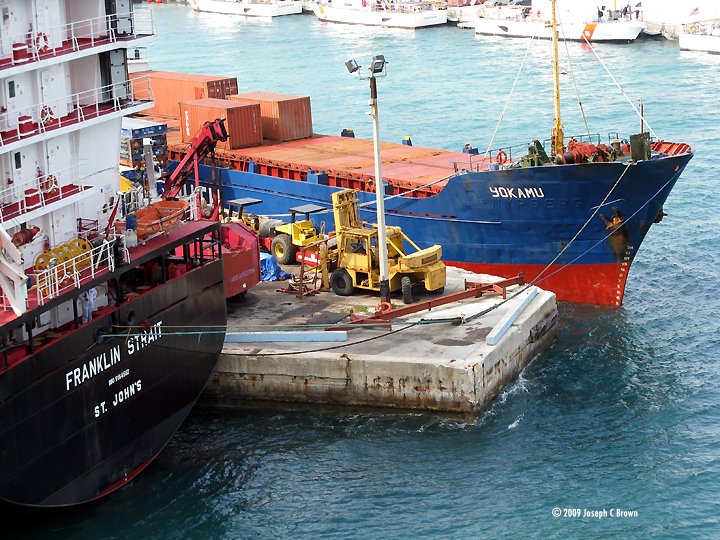 My pictures were taken on April 4th, 2009, and the ship looked to be in very good operating condition. If you use Google to search for 'Bernuth Lines Caribbean Jade', you learn that she was built in 1997, is 100 meters long, 18 m wide, and is in the 5100 ton weight class. 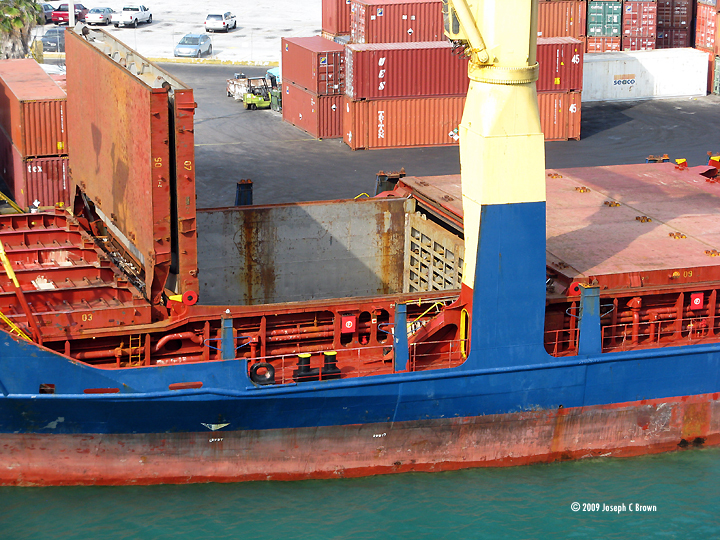 No data on how many standard shipping containers she could hold aboard. Why is this of interest? Space freighters, that's why! 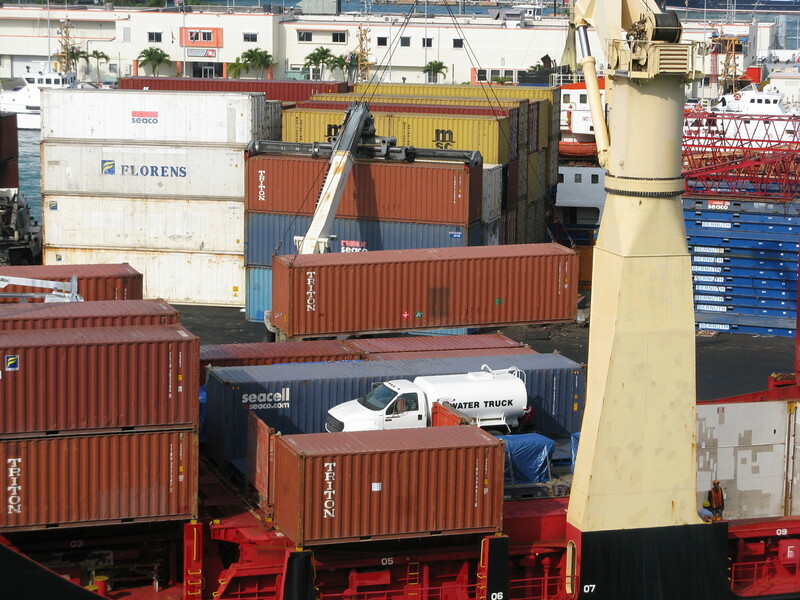 Sci-fi freighters would have many of the traditional operating concerns that sea-based freighters have always had, in addition to the newer problems of heat and cold, raw vacuum, radiation hazards - if you are reading this, you should know the drill by now. The images of the US Army's LCU2017 show that there is wear, tear, and weathering even on a currently deployed vessel which itself is fairly new (built in 1991). There's more data on these ships, the Runnymede class large landing craft, here". 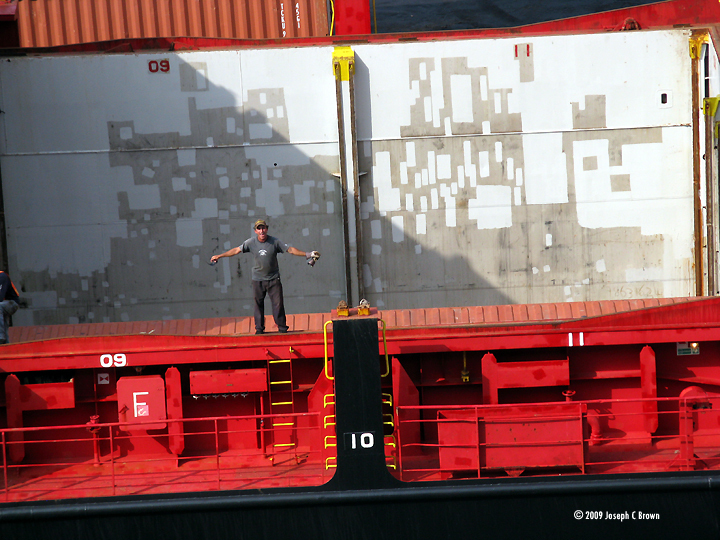 Image: Crew member near one of the container cargo holds. More patchy paint. Image: Bow of the Yokamu and the stern of the Franklin Strait. Note Yokamu has been renamed. Image: A capsized small boat wreck. Image: At least 6 USCG ships and LCU2017. Image: US Army landing craft LCU2017, El Caney. Image: Main deck. Note the weathering on the boot stripe. Aircraft are usually well maintained - but that doesn't prevent them from showing the effects of use and environment. The images were provided by Jack Wendt. Further explanations of what we see were provided by Todd McMillin, who has extensive experience with helicopter maintenance. 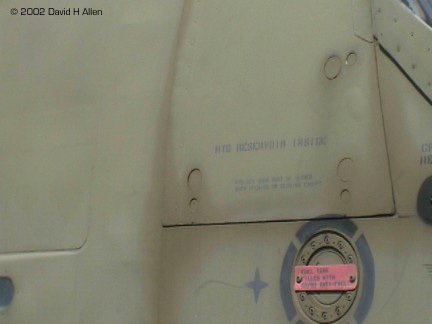 Image: Fuselage, Army National Guard helicopter, showing various fluid stains and paint touch-ups. "The side of this Bell Ranger helo has been washed several times. Typically, jet fuel is a corrosive mix, so the military washes their planes on a weekly basis to remove the fuel stain residues from the aircraft, as well as all the dirt & grime accumulated while flying. The soap will eat away at the paint if not properly mixed as it is also a solvent designed to adhere to fuel. The paint is petroleum-based as well, so you see the faded/washed out look. The darker areas/stains are from a hydraulic leak that probably occured during the flight and follows line-of-flight patterns. The black spots are temporary patches of touch up paint using a jet pac kit (aerosol kit with basic airbrush to do minor fixes). These are seen on tail rotor photo as well (next). 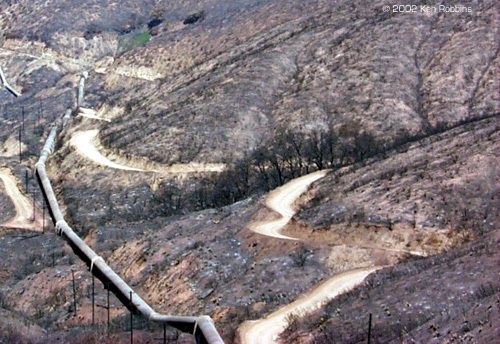 Most of your rivet lines show were fluids had followed the drain-to-ground path". Image: Tail boom. Note the darker tone around various fasteners. Image: Closer look at the vertical tail surfaces. Image: Engine housing. Note how little you can actually see of the machinery behind the screens. "You can see at the exhaust manifolds the darker staining by unused fuel that spat out as a vapor and dripped out around and back toward the tail. As I noted earlier the leak must have been recent possibly during turn-up/rotor start as I've seen hundreds of similar stains on H-46s/ H-3s/H-53s all my Navy career. " Image: Another look at the fuselage. Note the stenciling. Image: Opposite side, pilot's door. Note the worn paint and primer on the top of the skid. "The primer was jet pack'd on as well, mainly due to wear was correct. But this was a quick fix to inhibit corrosion on any bare metal spots, so a primer was put on after they ran out of black or just had not gotten around to putting a final coat on the skids." Image: Missile (Maverick?) on A-10 pylon. Plenty of stenciling evident. 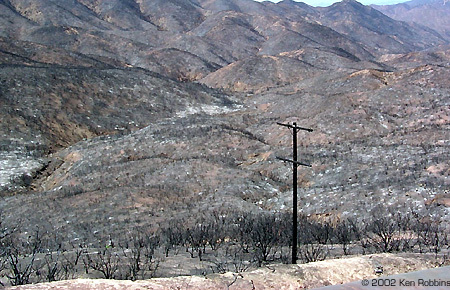 Image: Note the wear-and-tear evident on the pylons. Image: Left side fuselage, cockpit area. Image: Missile on the opposite side pylon. Construction equipment wears a lot like military equiment - - both see hard, continuous usage over long periods in all kinds of environmental conditions. Image: Except for the tires and scraper, which are encrusted with asphalt, this front-end loader is fairly clean - and yet is heavily weathered. Image: Hydraulic lines and lifting mechanisms. Note how crushed gravel sticks to the tires. Image: Stenciling and data plates. Note how old ID lettering has been removed, but leaves a "ghost" of itself in less-weathered paint. Image: Floor of the driver's position, front-end loader. Image: Front of front-end loader. 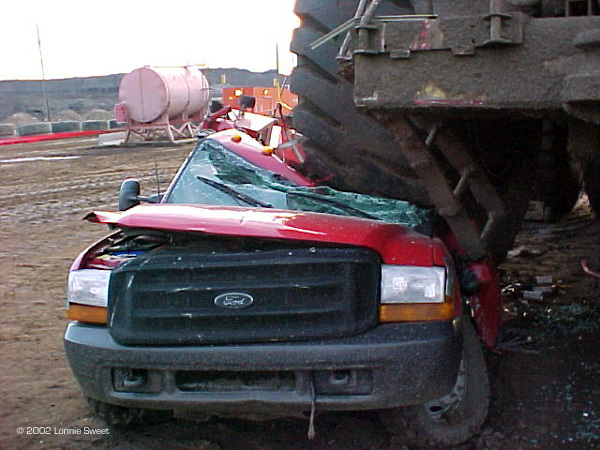 Image: Driver's position, second tractor. Image: The operator's position here is more heavily worn than the front-end loader, but cleaner. Image: Rear view, ditch-digging vehicle. Note how the paint has oxidized and markings faded. 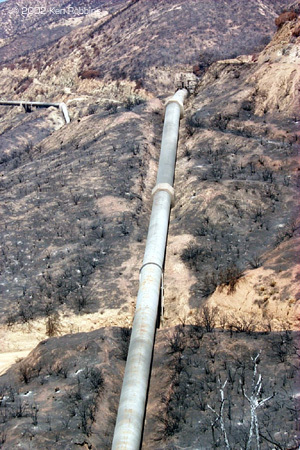 Image: Business end of the "ditcher"
Image: Hydraulic lines and rather battered-looking actuators. Image: More hydraulics and extensive rust/paint chipping. Image: Right side all-metal tracks. Note that even the high spots are rusty. Also note all the debris between track "teeth", roadwheels, etc. Image: Closer look at the right rear tracks. Image: Inboard side of the left-hand tracks. Note the oil stain at lower left. This and the following detail pictures were taken by David Allen at the 4th Infantry Division and 1st Cavalry Division museums in Ft. Hood, Texas. 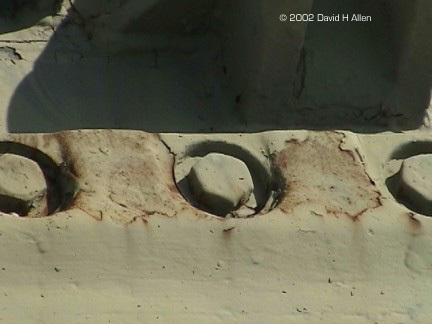 This image shows weathering of unpainted metal turbine exhaust on an AH-1 Cobra. 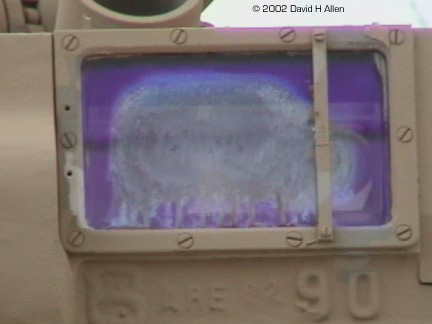 Image: Fuel stains around an access panel. 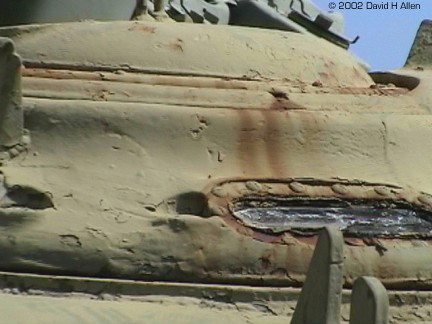 Image: This tank obviously has been painted a number of times - look at how the paint has built up on these bolts. Image: Tracks. Note the wear and tear on the rubber track shoes. 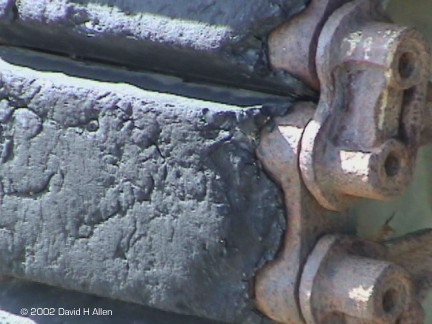 Image: Heavy applications of paint over existing rust on this cupola. The rough exterior indicates the was cupola was cast. 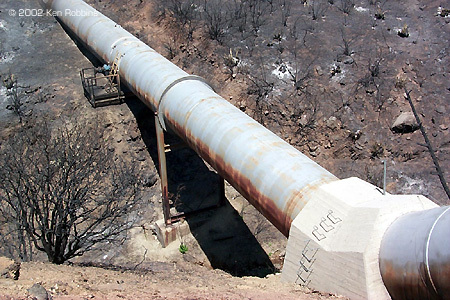 Railroad equipment also ends up looking a lot like military equiment - both see hard, continuous usage in all kinds of environmental conditions. Both are also covered with stencils, identification data, numbers, insignia, and the like. Image: Dark tank car, in this case carrying sulfur. This one has it all - rust, liquid staining, stencils, faded paint. Superb example of weathering effects on a dark vehicle surface. 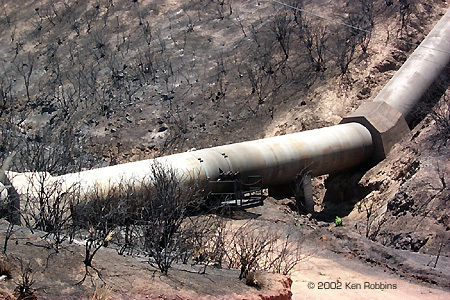 Image: A closer look at the "spout" and surrounding access platform. Image: A closer look at the rust, stenciling and graffitti near the front. 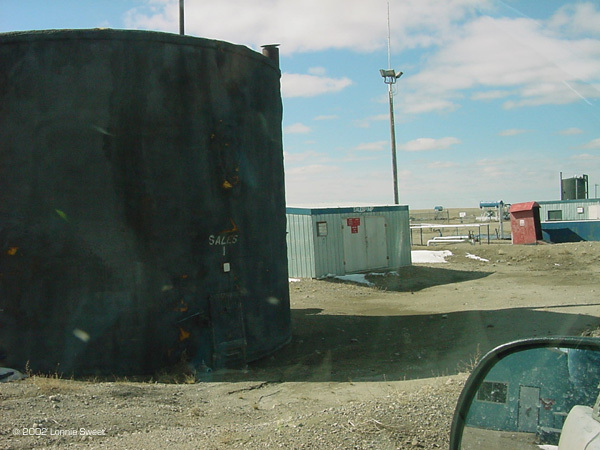 Image: Another tank car, this one a bright yellow. More staining from the cargo and rust. 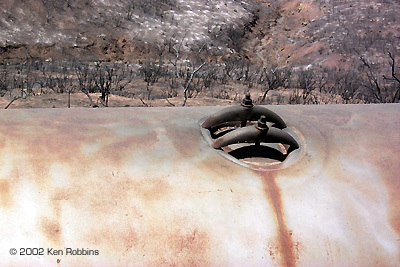 Image: Like armored vehicle tracks, the wheels on this rail car are heavily rusted and grimed - except where they actually contact the ground (rails). Image: Front end. Note how grime and gunk presumably thrown up by the wheels covers the lower front of the car. Image: Battered old pickup, rear view. 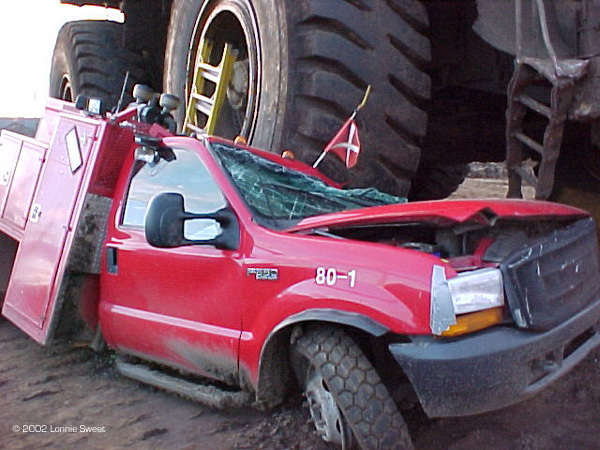 Note the gouges and scrapes on the bed and tailgate; entrance ramps on utility vehicles, transports, ships, etc. look a lot like this in general. 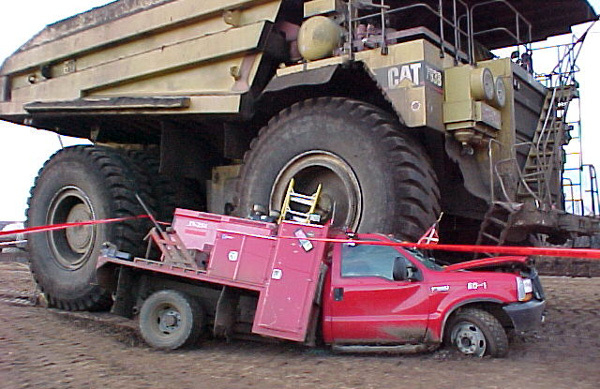 Image: Same truck, storage compartment open. Note how the inside of the door is no more pristine than the outside surfaces. 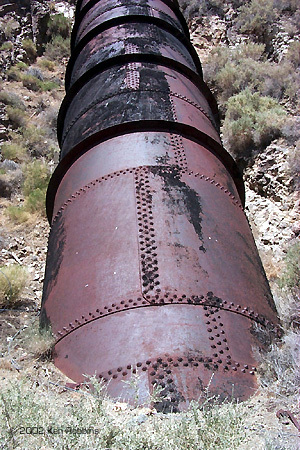 Image: More rust, making a hole become bigger with time. Image: The other side. Note how grit and grime accumulates in the wheel. Image: Spattering occurs in front of the wheel as well. Image: Driving on dry pavement has rid the tire of "mud", except inside the tread, on the sidewalls and in the hubcap. Image: Winter scene. Note the wear and tear on the truck, the relative cleanliness of the fork lift, and the accumulation of snow/mud in the wheels. Image: "On 9 November 1962, an engine failure forced Jack McKay, a NASA research pilot, to make an emergency landing at Mud Lake, Nevada, in the second X-15 (56-6671); its landing gear collapsed and the X-15 flipped over on its back. ... The aircraft was sent back to the manufacturer, where it underwent extensive repairs and modifications. It returned to Edwards in February 1964 as the X-15A-2, with a longer fuselage (52 ft 5 in) and external fuel tanks." Note the extensive structural damage and what appears to be residue from fire-fighting foam all over the airframe. Link to NASA photo courtesy "OM"
This page copyright Starship Modeler  © 2002-9. Last updated on 31 December 2009.